Well this must be for me the news of the year. 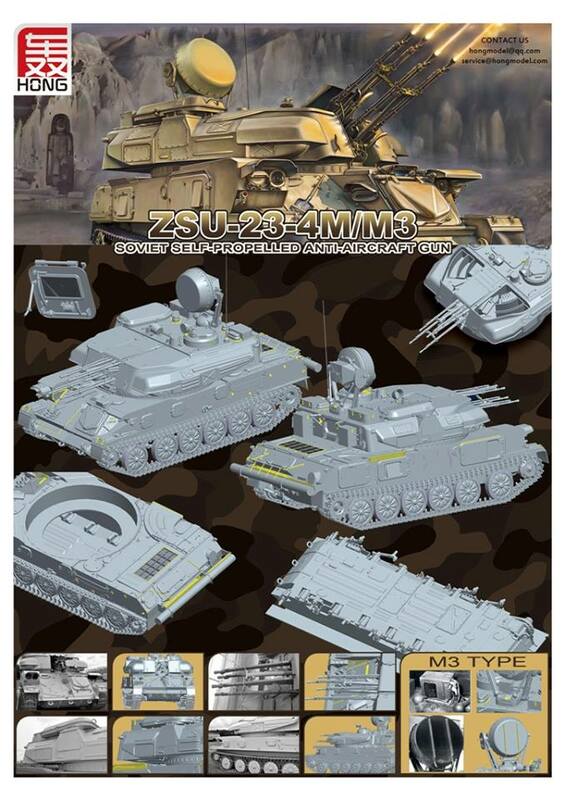 New company – HONG, announced new kit – ZSU-23-4 Shilka! Frankly, it’s about the time. I was already thinking I will have to finish that ancient Dragon kit and could not understand why someone will not bring this vehicle in the current quality and design to the market. What more you need – Russian vehicle that saw extensive action for long period of time, used by many countries with number of great camo scheme… But for ages – nothing. Finally it takes complete newcomer to the market to get the idea! Now we just need to watch for the others to announce the same subject, as usually happens these days. Let’s hope the quality will not disappoint us. Check out the company’s website here. Hi, my name is Vladimir Adamec and on this blog you can read about my experiences, inspirations, successes and failures on my modelling path.